muscle. Tendonitis can occur following a strain or tear of a muscle which has not been allowed to heal properly. Tendonitis injuries are common in the upper and lower extremities and are less common in the hips and torso. The severity of tendonitis is solely dependent on the frequency and type of exercise or use. Symptoms of tendonitis include tenderness directly over the tendon, pain with movement and swelling surrounding the tendon. Tendonitis is always diagnosed through physical examination and treatment options are available in order to decrease inflammation and improve structural function of the body. A strain is a term given when there is damage to a muscle or tendon, more commonly known as a pulled muscle. Typical symptoms include localized stiffness and discoloring or bruising around the area of injury. Strains are a result of muscular-fiber tears due to over stretching of a muscle. They can happen during normal sports activity and are very painful when occur. Recovery from a muscle strain is dependent on the severity of the injury. A muscle strain is often graded 1 through 3. In grade 1 or mild muscle strains, the muscle or tendon is over stretched and small tears to the muscle occur. There is mild pain without swelling to the affected area. In grade 2 or moderate muscle strains, the muscle or its tendon are over stretched with more of the fibers torn but not complete. Symptoms include marked pain with swelling and tenderness over the area of injury. Bruising may occur due to damage of small blood vessels at the site of injury. In grade 3 or severe muscle strains, the most serious among the three grades, muscle fibers are completely torn or ruptured. Pain, swelling, tenderness and bruising are most often always present and movement is difficult. Muscle strains are diagnosed based of the mechanism of injury and through physical examination of the patient. Please consult with our doctors if you have suffered a strained muscle. A bone fracture is a condition where there is a break in the normal structure of a bone. A bone fracture can be the result of high force impacting the bone or stress on a bone during a certain movement or activity. Although various pathological conditions such as osteoporosis, bone cancer, or osteogenesis imperfecta can be a cause, sports related injuries are one of the leading causes of bone fractures. Symptoms include swelling and bruising of the soft tissue structures surrounding the affected area and muscle spam trying to hold the bone in place. There are many different types of fractures depending on how the bone is broken. Please seek medical attention if you or someone you know has suffered a broken bone. Radiographs of the injury should be obtained in order to determine the type and severity of a fracture. Bursitis is the inflammation of small sacs containing synovial fluid called bursae or bursa, that lie within tissue where friction would occur. Bursae rest at points in the body where muscle and tendons slide across bone. They allow for smooth frictionless gliding, making movement painless. 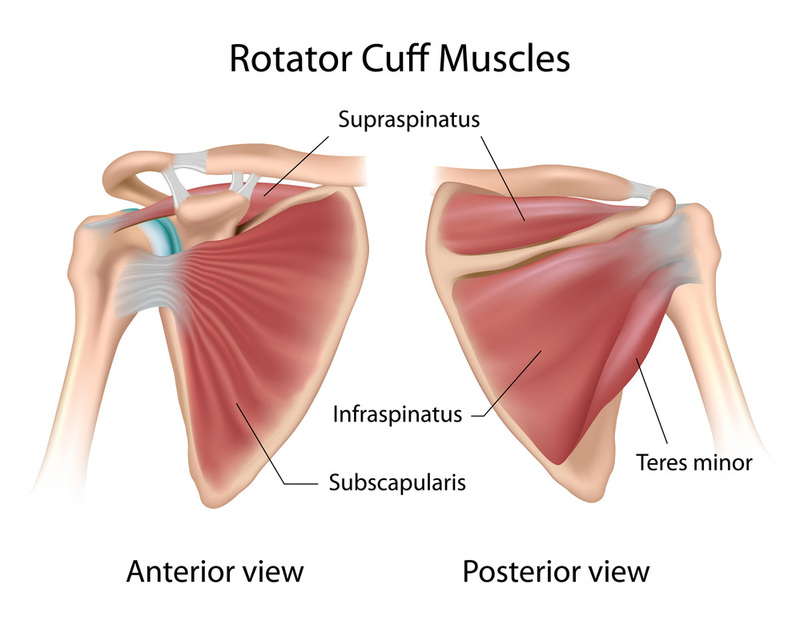 When bursitis occurs, movement over the bursae becomes difficult and painful. Movement will then aggravate the existing inflammation and perpetuate the injury, leading to muscle stiffness and increased pain. The cause of bursitis is most often due to repetitive movement and excessive pressure on the structures of the body. 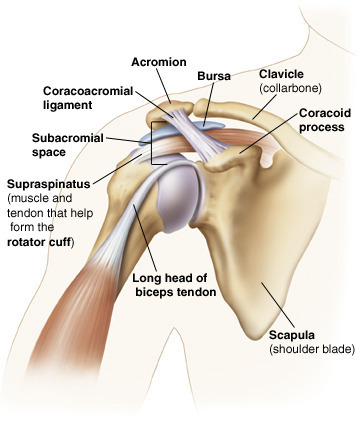 Shoulders, elbows and knees are the most commonly affected structures. Bursitis is most often diagnosed through physical examination and treatment option are available in order to decrease pain and improve recovery times. 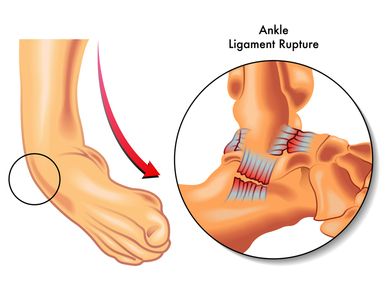 A sprain is an injury in a joint caused by over stretching of ligaments that surround the affected structures. Ligaments are though, fibrous tissues that connect bone to bone. Sprains can occur in any joint, but are most common in the ankle and wrist. Symptoms include pain, swelling, bruising and decreased movement in the affected limb. If there is a rupture of a ligament, a popping sound is often heard. Sprains are diagnosed through physical examination and their severity is dependent on the mechanism of injury and appearance. Sprains are graded from 1 to 3 similar to strains. In a grade 1 sprain, there is slight stretching and some damage to the fibers of the ligament. In a grade 2 sprain, there is partial tearing of the ligament with marked looseness (laxity) of the joint occurs. 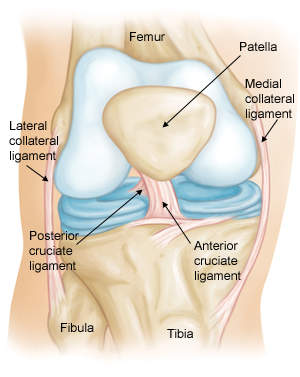 In a grade 3 strain, there is complete tearing of the ligament with gross instability and laxity in the joint.